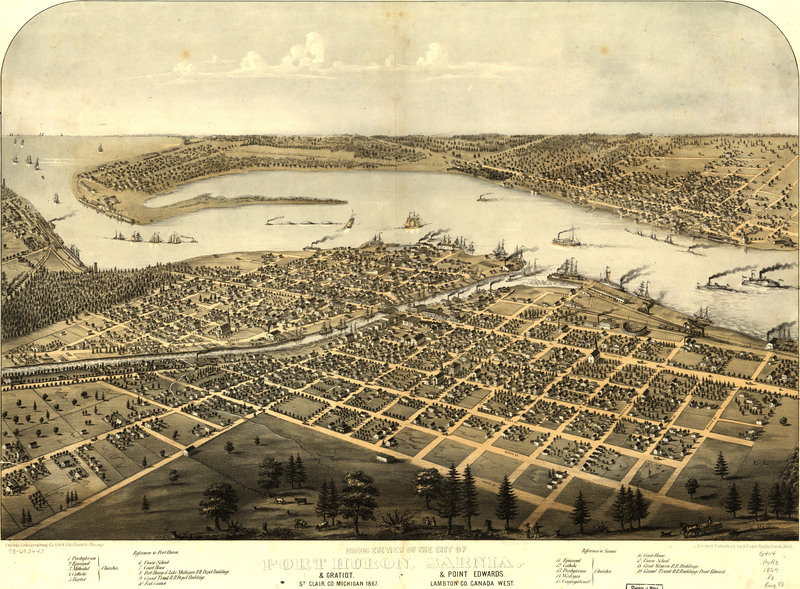 A. Ruger's Birdseye map of Port Huron, Michigan in 1867. This map isn't part of any series, but we have other Michigan maps that you might want to check out. Here Ruger sketches Port Huron, Michigan [gmap], a handsome little town in the Thumb of Michigan. 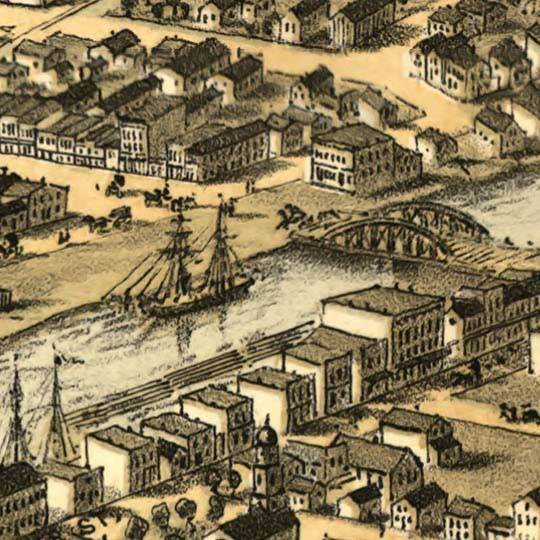 Port Huron was the birthplace and childhood home of Thomas Edison. For more maps and images from this period in the region's history, visit the Historical Society of Michigan.